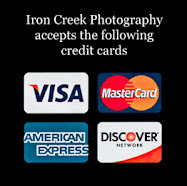 Iron Creek Photography®: On the road once again! On the road once again! This time I'm going to Carmel CA to met with good friends Ken Doo and Chris Lawrey to help put on a quasi-workshop. 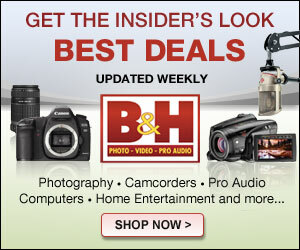 Chris is brining camera gear out of the Capture Integration vault such as a Cambo Ultima. Ken and I will be picking Chris up at SFO airport on Thursday and spending time in and around San Francisco shooting landscapes before heading to Carmel for the next couple days, ultimately meeting with several other photographers to shoot in and around Carmel and Big Sur. This will be a new and somewhat different experience for me as when Sandy & I normally go out we're by ourselves and have the flexibility of going where we want shooting what we what and staying as long as we want - not so with a workshop. Which necessarily isn't a bad thing. The plan is to stay in Carmel till next Monday then head home. I'm not sure just how much will be worthwhile in reporting this next week, likewise I'm uncertain as to the images however I will attempt to do at least one update that will include a couple images from this current trip. Once again I'm by myself however the week following my return Sandy and I are both going to Monument Valley where we'll be staying at the brand new "The View Hotel" situated right on the edge of Monument Valley. Be prepared to be bombarded with details on our Monument Valley trip as well as many images. Sandy & I wish to thank everyone for the great response we've received regarding the "Twisted" posters!